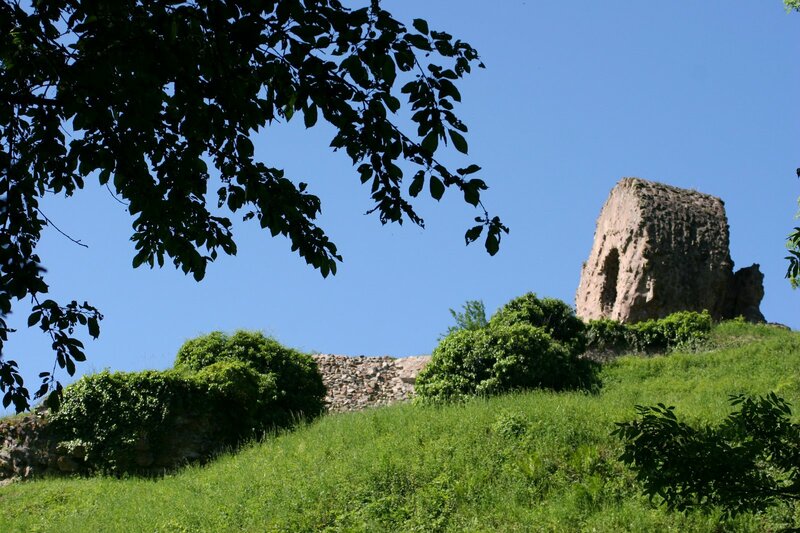 "Engelbourg Castle was built in circa 1224 by Count Frederic II of Ferette to guard the entrance to Thur Valley. It was severely damaged a few centuries later during the Thirty Years' War and destroyed on the orders of Louis XIV in 1673, when its strategic role was no longer valid. The main tower broke into several sections. 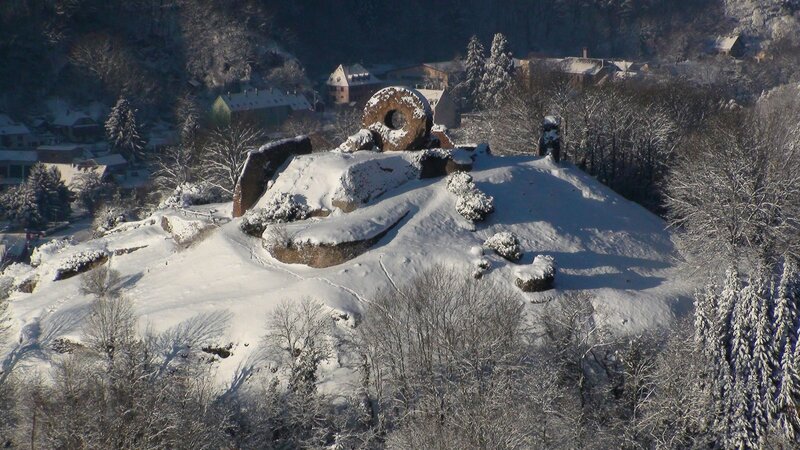 The main part fell on its side looking towards the town of Thann, and this is what we call the Witch's Eye, as it seems to stare at the roofs in the village and off into the horizon. Today, it can be reached by a steep stairway in about 20 minutes or by a walk through the vineyards in about 40 minutes. It is worth making the effort as you will have a magnificent panorama over the valley, the collegiate church and the town of Thann. "